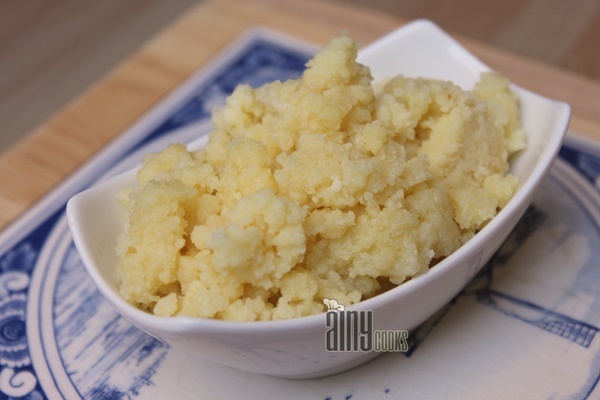 You can easily make Khoya at home in few minutes. Khoya is a dairy product and sweets and halwas are incomplete without this solid milk. You can make it after drying fresh milk or use my method to make jhat pat Khoya. In a pan add ghee and water and let it cook on low flame till ghee melts. Add powdered milk and mix well. A thick paste will form, keep on mixing. Remove from stove and keep in refrigerator for few minutes. 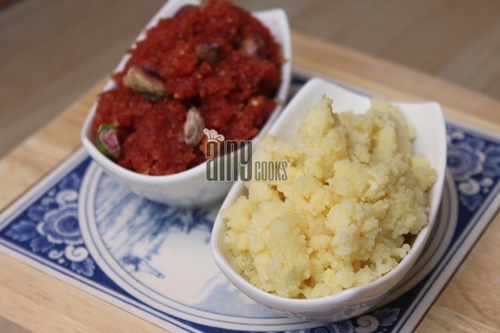 Use it in Carrot Halwa or any other mithai or halwa.